Template GK appPhone - designed by the world famous company GavickPro. 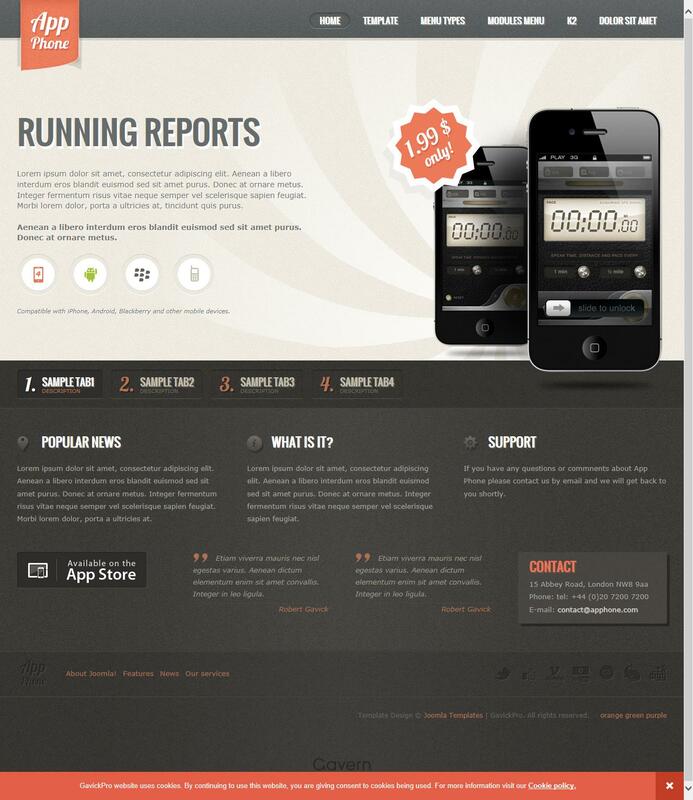 GK appPhone template is ideal for websites mobile themes, business sites and for various portals. Template GK appPhone has a very interesting and useful feature - template automatically determines the size of the screen and adjusts the visitor page to display properly on the monitor. It should be noted that the template GK appPhone fully supports mobile devices. The template GK appPhone available more than 60 module positions and 3 style design (orange, green, purple). The template contains GK appPhone own pages 404 and upgrade / maintenance site, just three types are available and a large number of typographic styles. Template GK appPhone support components K2 and JComments and displayed correctly in all modern browsers and mobile devices. We recommend GK appPhone template for installation!